This spacious, attached holiday home is in an excellent sun-facing position during summer and winter. The holiday home is built in a traditional Portuguese style. It is on the top terrace of the farmhouse complex. 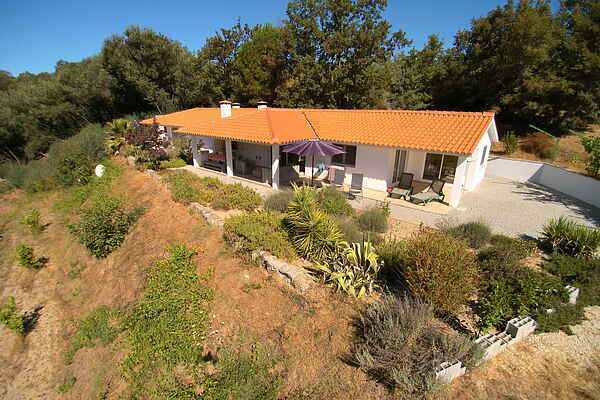 Both verandas offer delightful views of the small river, the lower terraces and the valley. The holiday home has been built with all necessary facilities for wheelchair users and less mobile people.